This classic cocktail is no relation to Snoop Dogg, you have my word. Instead, you'll find a light, refreshing libation to celebrate the end of a long week-I don't know about the rest of you, but I'm so looking forward to a quiet evening and an elegant cocktail! In a cocktail shaker combine 1/4 cup each of gin and grapefruit juice, 1 tablespoon dry vermouth and a little crushed ice. Shake for no more than 5 seconds and strain it into a stemmed glass over ice cubes. 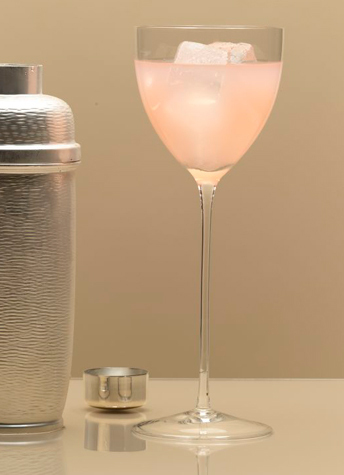 Notes: This is the perfect opportunity to use that herbal or floral gin; I like the rose notes of Hendrick's gin in this delicate cocktail. Photo by Roumlo Yanes for Gourmet. i happen to have all these ingredients at my house right this minute - looks like i'll be sippin on gin & juice tonight! I just cannot do gin, it makes me feel like I'm drinking liquid pine needles! It seems like it would be super tart to drink! what a divine cocktail to kick off the weekend! with all of your delicious drink recipes, you could host the most fabulous fete! This looks just wonderful! Have a great weekend! Your cocktail seems to taste very good!!! Have a beautiful weekend sweetie!! Thank you for your support, I really appreciate!! Bottoms up, dear friend! And happy weekend, too. that looks so refreshing and it has such a delicate color! Such a beautiful drink...have to try it sometime! Love your blog. Its too adorable and girly! Perfect. i love your drink posts... they feel like mad men lady drinks... have a nice one! yum! This sounds so refreshing. I'm not usually a fan of gin but this sounds delectable! I might have to try Hendrick's one of these days..that might make the difference for me! Never tried it, but the pic is adorable! That picture is just too gorgeous - can't wait to try the cocktail too!